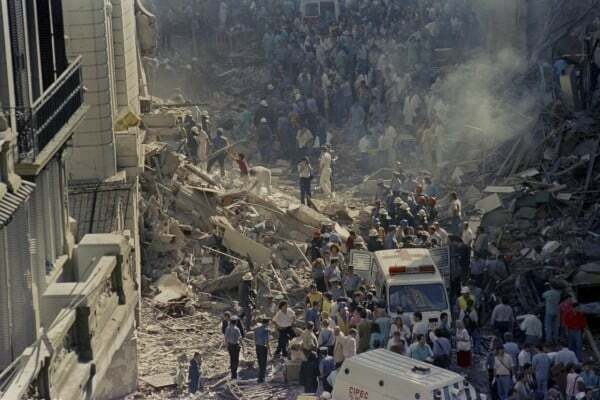 Iran has rejected the Argentine president’s claim that Tehran has not cooperated with Buenos Aires in the case of the bombing of AMIA building back in the 1990s, saying it will arrange a meeting between the two countries’ judiciaries to probe into the case. In a Wednesday statement, Iranian Foreign Ministry Spokesman Bahram Qassemi described Mauricio Macri’s comments as distortion of reality and said the Islamic Republic of Iran strongly condemns any act of terrorism wherever in the world and in any form it takes place. “To this end, Iran has repeatedly condemned the attack on the Asociación Mutual Israelita Argentina (AMIA) building and expressed its sympathy with the families of the victims of the explosion,” he noted. To prove its good-faith in [helping the Argentine officials] unveiling the truth and dispensing the true justice in connection with AMIA explosion, Qassemi said, the Islamic Republic of Iran accepted an invitation by the Argentine president through the UN podium back in 2012 and the two sides signed a memorandum of understanding in January 2013 on the issue. “However, the Argentine government is not prepared to implement the MoU it signed with Iran,” he added. Qassemi stressed that the Islamic Republic of Iran is still prepared to establish constructive cooperation with Argentine officials on AMIA. “To this end, Iran has set forth a new initiative to hold a meeting between the judiciary officials of two sides,” he concluded. The statement comes in reaction to the Argentine president’s comments who in his address to the 73rd session of the UN General Assembly called on Iran to hold cooperation with Argentine’s judiciary centers in putting on trial those behind the AMIA bombing and another attack in the capital Buenos Aires which left over a hundred dead and many others injured back in 1992 and 1994.